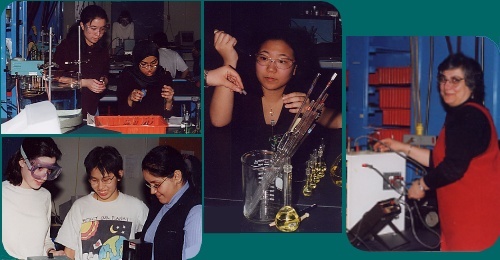 Chemistry 232 is a course in physical chemistry designed for students in the life sciences. The course brings students into the universe of physical chemistry as a tool for understanding biochemical systems. Topics include the quantum mechanics of atoms and molecules, spectroscopy, chemical thermodynamics, electrolyte solutions and electrochemistry, chemical and enzyme kinetics. Laboratory experiments reinforce these concepts. Lectures and discussions will take place during the three periods assigned to the course each week. Classes will ordinarily be 70 minutes in length, but may be shorter. Reading assignments should be done before a topic is discussed in class. Review sessions will be held during the class before exams. Review sessions are TBA. The first exam will be a take-home, distributed TBA; the second will be in class on TBA. After each class you will be asked to submit a “one-minute paper” to your drop box in our Sakai Conference CHEM-232-01 SP-11. The “one-minute paper’s” purposes are to help you identify the central theme(s) of the class and to point out to me what you found most confusing. We will then follow up on points of confusion, either individually through e-mail or a meeting, through our Sakai conference, or in the next class. You may also contact me via e-mail or the Sakai conference at any time with questions about lecture material. Posted office hours may be supplemented by appointments at other times during the week. Problem sets will be assigned regularly. You are strongly encouraged to work with other students on them. Please list the students with whom you worked when you submit the problem set. Two problems (not identified in advance) from each set will be graded. Exams will be based on material introduced in lecture and laboratory, and reviewed in problem sets. Individual requests for rescheduling of exams will be considered only if they are made prior to the exam. The Honor Code is a central tenet of Wellesley College. Although working together on problem sets is encouraged, work on exams is to be done individually. Our ability to offer take-home exams and self-scheduled final exams rests on our expectation that all students will be part of the honor code community. Note: Satisfactory completion of all laboratory experiments is required. Your final grade will reflect both the numerical results of the above and an assessment of your progress throughout the semester.